Wi-Fi is just about the most widely used wireless technology in the world. There are access points throughout business and industry, institutions, government agencies, and other facilities. Plus, don’t forget all those public hot spots in most public places like in convention centers, hotels, and airports. Today, what home does not have a Wi-Fi router? Wi-Fi is convenient as virtually all of our PCs, laptops, tablets, and smartphones have it that we use for email, texting, and Internet access. Isn’t the first thing your house guests ask for is your Wi-Fi password? However, there is a lot more you may not know about Wi-Fi. Here is a primer to bring you up to date. Wi-Fi is a standard developed by the Institute of Electrical and Electronic Engineers (IEEE). It goes by the designation of 802.11 with a letter suffix to indicate the version. Table 1 shows a list of the major versions of Wi-Fi. TABLE 1. Summary of Major Wi-Fi Standards. The first version emerged in 1997 and used 22 MHz wide channels in the 2.4 GHz Industrial Scientific Medical (ISM) unlicensed band. The modulation was direct sequence spread spectrum (DSSS) or frequency hopping spread spectrum (FHSS) to deliver data speeds of 1 or 2 Mb/s, up to a maximum range of 100 meters. This initial version was not a big hit, so the IEEE standards development group went back to the drawing board and came up with a revised version 802.11b in 1999. It used the same basic technical specs with DSSS but was able to hit speeds up to 11 Mb/s. It was a major success. Semiconductor companies made ICs and chipsets, and equipment manufacturers made access points, network interface cards (NICs) for PCs, and plug-in modules for laptops. Adoption came quickly. During 1999, an even newer version emerged: 802.11a. This variation operated in the 5 GHz ISM band. It used OFDM (orthogonal frequency-division multiplexing) and offered speeds to 54 Mb/s under ideal conditions. 802.11a never became popular, but did serve as the basis for later versions. In 2008, 11a was modified into 802.11y for operation in the US licensed spectrum at 3.7 GHz. The next major development came along in 2003. 802.11g was essentially a version of 802.11a that operated in the 2.4 GHz band. It offered up to a 54 Mb/s data rate using OFDM in a 20 MHz channel. 11g became very popular with most PCs, laptops, and routers adopting it quickly. It took many more years of development by the IEEE task group to create the next big version. In 2009, 802.11n emerged. It operated in either the 2.4 or 5 GHz band, and could use 40 MHz channels as well as 20 MHz channels. Another feature was the incorporation of multiple input multiple output (MIMO). MIMO is the use of multiple radios and antennas to boost speeds, as well as make connections more reliable despite reflections and other degrading multipath effects of signals at these microwave frequencies. With more bandwidth and MIMO, data rates in excess of 100 Mb/s were possible over a range in excess of 200 feet. As a result, 11n became immediately popular. Today, it is still the most widely used version of Wi-Fi. The most recent iterations of Wi-Fi are 802.11ac and 802.11ad. Also known as WiGig, the 11ad version was ratified in 2012. This version operates in the unlicensed 60 GHz band. It uses OFDM in 2.16 GHz wide channels to deliver speeds up to about 7 Gb/s. Its range is limited inherently by physics, but with the use of high gain beam steering antennas a range up to 50 meters is possible without obstacles. 11ad has not been widely adopted as of today, but it has found some applications for short range high resolution video transfer. The most recent version — 11ac — really seems to be taking off. Many newer laptops and smartphones have already adopted it. This form of Wi-Fi only operates in the 5 GHz band. With bandwidths of 20, 40, 80, or 160 MHz, and up to 8x8 MIMO, 11ac can easily deliver data rates of hundreds of Mb/s with up to 3 Gb/s possible. The range is limited to about 30 meters or so depending on the environment. Look for 11ac to be the de facto version in the near future. Already, the IEEE working groups are developing 802.11ax and 802.11ay upgraded versions of 11ac and 11ad, respectively. These probably won’t be available for a few years, but in the meantime there is plenty of good Wi-Fi to take advantage of. Some new and different variants of Wi-Fi are soon becoming available. These are 802.11af and 802.11ah. Both address the growing Internet of Things (IoT) and machine-to-machine (M2M) markets. Both are also designed to use frequencies below 1 GHz. At these frequencies, signals travel longer distances and penetrate obstacles better than the microwave frequencies above 1 GHz for a given power level and antenna. 11f is designed for the unused VHF or UHF TV channels (called white space) in the 54 to 790 MHz range. Cognitive radio techniques must be used to avoid interference to local TV stations or nearby wireless microphones. That means accessing an online data base of local spectrum users and implementing a listen-before-transmit process. 11af uses TV channel bandwidths of 6, 7, or 8 MHz. Modulation is OFDM using BPSK up to 256QAM. In a 6 MHz channel, this could provide a data rate up to about 26 Mb/s. Up to four channels may be bonded to boost rates further. The main benefit of 11af is its long reach. Even with low power (one milliwatt), a range of 1 km or better is possible. 802.11ah is a similar technology but targets the 902-928 MHz ISM band. The Wi-Fi Alliance has named 11ah HaLow. It is a long range, low power technology with a potential range of 1 km or more. It uses 1, 2, 4, 8, or 16 MHz wide channels with OFDM modulation. Its maximum data rate is about 40 Mb/s, although lower speeds like 100 kb/s will probably be more typical. Some common applications for 111af and 11ah will be smart grid, meter reading, connecting home networks, industrial monitoring and control, and wireless sensor networks. Neither of these standards is available now, and it is not known how popular they will be. At least they fill a gap on a range that traditional Wi-Fi cannot handle. Both of these new standards will have competition with other low power long range technologies like LoRa from Semtech, France’s Sigfox, Weightless, and 5x5 Wireless. Even 2G/3G cellular technology competes in this space. Look for developments related to 11af and 11ah in the years to come. 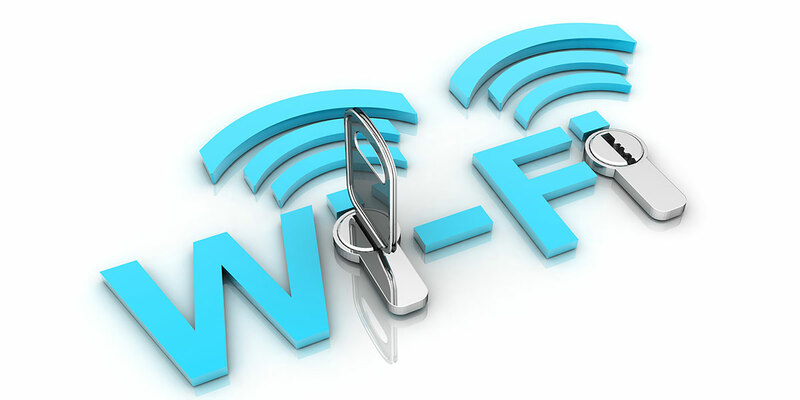 One factor that has made Wi-Fi so successful is the Wi-Fi Alliance (WFA). The WFA is a consortium of companies that make Wi-Fi-related chips, equipment, software, and other products. The WFA supports and promotes Wi-Fi. However, the feature of WFA that really makes a difference is its certification program. The WFA tests all Wi-Fi products to ensure that they all not only meet the IEEE standards, but also are fully interoperable. All WFA certified products will reliably talk to one another.The WFA has also created some enhancements to Wi-Fi, as well. These are software additions that extend the usefulness of Wi-Fi. One of these is Wi-Fi Direct. This is a feature that lets Wi-Fi equipped smartphones or laptops or other devices to communicate directly with one another without going through a router or hot spot. Cameras and printers are some examples. Another feature is Passpoint. This addition eliminates the need for a user to find and authenticate each and every network before using it. This makes it possible for users to roam from one Wi-Fi network to another without having to sign in. Not all devices implement Passpoint or Direct, however, so double-check your device documentation to be sure. But wait, that’s not all! Wi-Fi is also being used by the cellular network providers like AT&T, Sprint, T-Mobile, Verizon, and others. First, some carriers have their own Wi-Fi networks. They use the Wi-Fi networks to offload some data traffic from the cellular network. If access to the network is too great due to high volume video streaming or other traffic, they may offload your connection to their Wi-Fi network to relieve the data burden. This mostly affects data access, but it could be a voice call and you will never know it. In any case, this or offload is not yet widely deployed. You will also hear of calling that lets you make phone calls using Wi-Fi. Most of the major carriers implement it, and most of the newer Android and Apple smartphones support it. Think of Skype. You may have this and not know it. Another use of Wi-Fi by the carriers is LTE-U. This is the use of the Wi-Fi 5 GHz unlicensed spectrum for LTE cellular connections. Remember LTE is long term evolution — the fourth generation cellular technology that uses wideband OFDM modulation. Again, if a carrier lacks spectrum, it can “borrow” chunks of the 5 GHz spectrum to cover their high data traffic needs. LTE-U is also called license assisted access (LAA). It is not yet widely implemented. There are efforts to standardize this procedure so that carriers do not interfere with Wi-Fi users.